Nuke 11 compatibility! Also backwards compatible with previous versions. 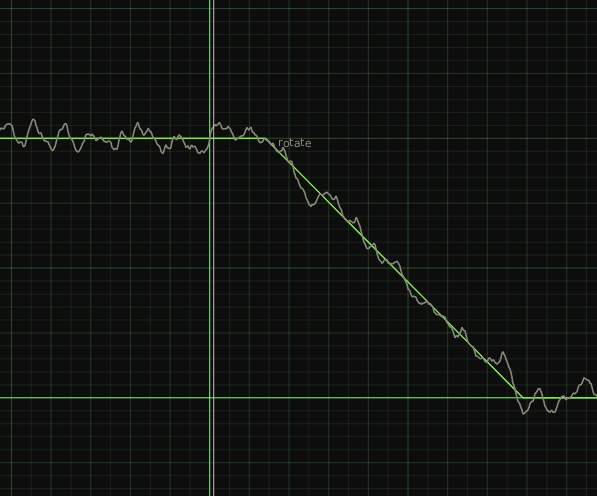 Bug fixed where knobs weren't behaving correctly if AnimationMaker used on multiple values on same knob. 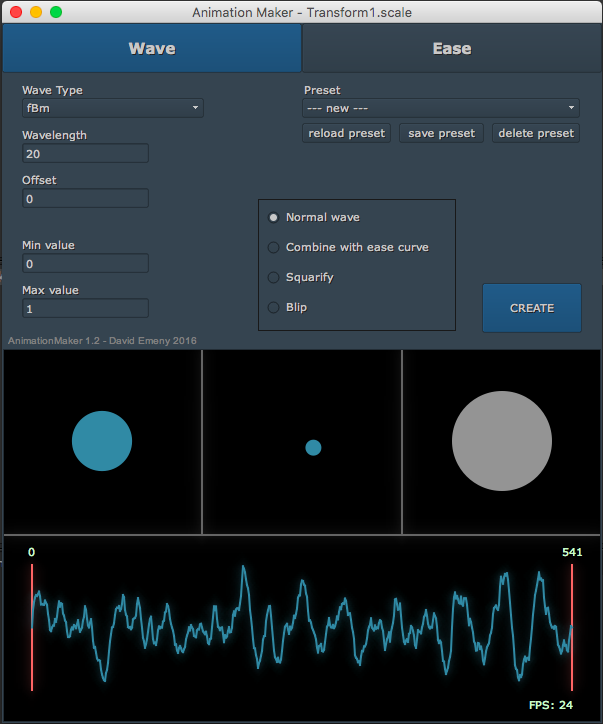 Presets system added, so you can save frequently used setups eg: “Fast noise”, “Random blinking”. 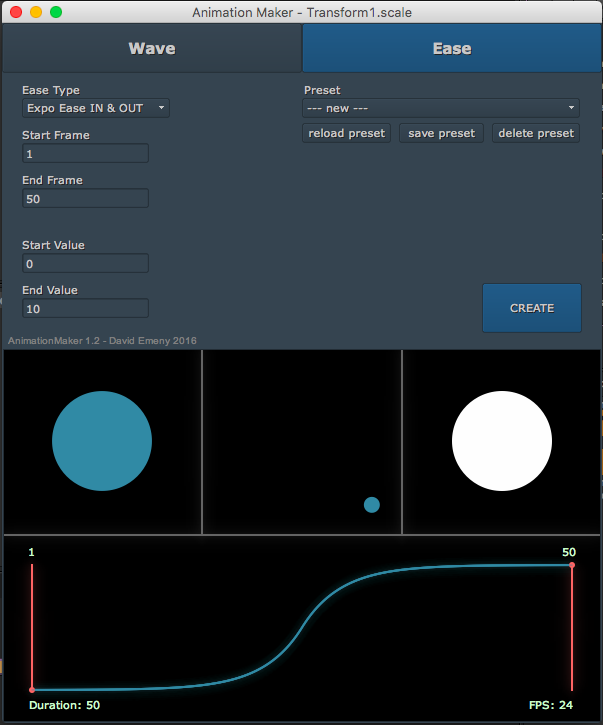 If you need to animate something in Nuke this tool gives you a suite of animation curves that you can apply just by right-clicking any animatable value on any node. Ease curves such as Quad, Exponential, Bounce and Elastic. Wave curves such as Sine, Random, Noise, Triangle and Sawtooth. 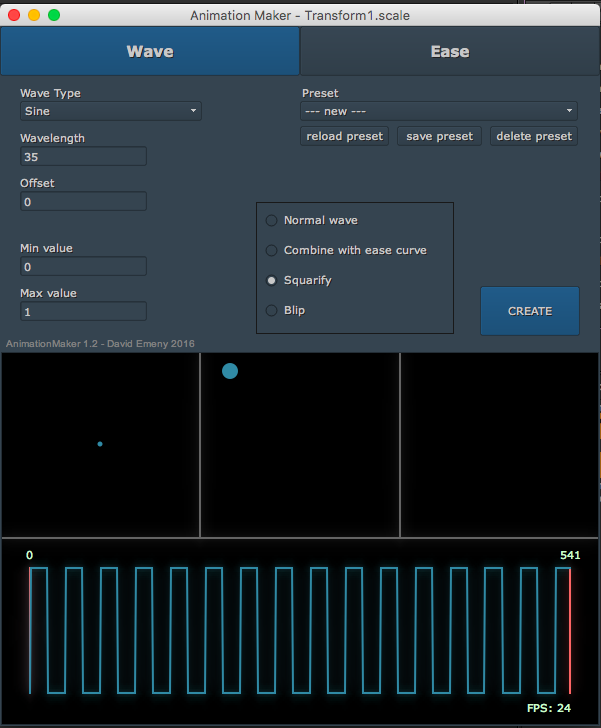 Options to combine a wave with an ease curve, turn a wave into a 'square' version, create a sequence of blips at certain intervals. All visualised with a live animating preview in various forms. When your curve is chosen, hit Create to generate the expression on the knob in question. A user tab will be created on the node with sliders to adjust the expression on the fly. Just add the py file to your .nuke or plugins folder and put import AnimationMaker in your menu.py. That's it. I have a question though: How the hell can I use the animation maker TWICE in the same attribute?. Sorry joie hey for the slow response, I didn't see your comment until now. Currently there's no way to do an ease in and then ease out on the same attribute. 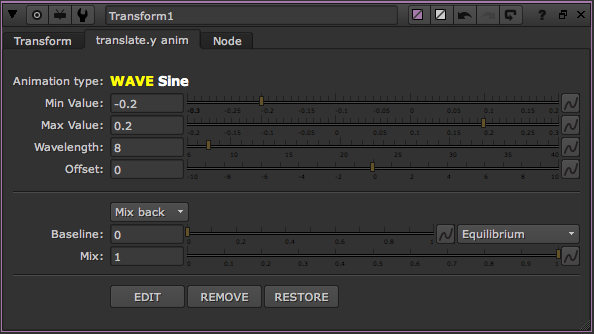 You could easily make a second transform node underneath the first, then replicate your AnimationMaker curve on that, but swapping the min and max values, and changing your Start and End frames. The nodes concatenate, so you wouldn't lose any quality. Yeah, I managed to solve the issue, but I'm curious to know if you have plans on add that feature to the tool. So great! I've been copying in animation expressions for years. This is exactly what Nuke needs. 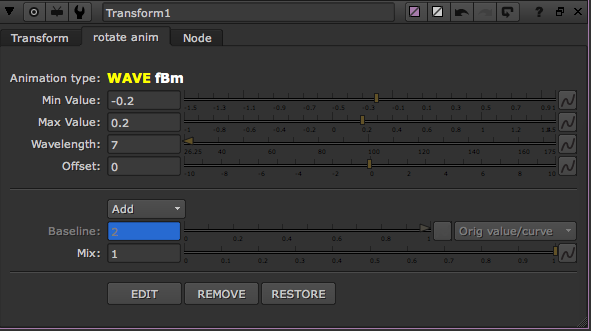 This tool is crashing Nuke 9 when added to a transform. Anyone else seeing this? Had a couple of people say this, but I'm running it in Nuke9 just fine. Maybe you're on a different platform... I'm running it on Nuke 9.0v5 on Linux. If you can load Nuke through a terminal, maybe you can see where the error is happening? It is strange. I'm running 9.0v4 on Windows and it crashes. On another machine (same version and OS) it runs fine. I've also tried it running in on 9.0v6 and it still crashes. Running in a cmd window (terminal) with -V 2 flag doesn't report any errors. Could it be a python thing? Now fixed in Nuke 9 on Mac and Windows. Sorry for the delay! I just gave it a shot. Works great! Thanks for the fix! Thanks for testing it for me :) I've already added a 'REMOVE' button, which effectively 'bakes' the tab variables into a single expression. If keyframes were involved in the creation of the curve it will give you the option to bake keyframes. Maybe I could always give the user the option to bake at that point, if that's something that would be useful? Maybe I could always give the user the option to bake at that point, if that's something that would be useful? Hi David, thank you for the fast reply! this can be actually good idea - to prompt an user if he want to bake a curve or just to get rid of the variables. in this case you will not "polute" an interface with an additional button as well. Nuke 11 won't boot anymore when Animation Maker gets imported. Any idea what causes it? Hi Lucas, Animation Maker doesn't support Nuke 11 yet, and because it uses Pyside, it is quite likely to cause problems as Nuke 11 uses a new version of Pyside. I suggest uninstalling AnimationMaker until I can roll out a fix. Try the new version 1.3, it now works with Nuke 11. Have been using this tool and its great to have to it in nuke to make animations. I am facing an issue when I save a preset. I am running Nuke 10.0v6 on linux. I fixed this by making custom function that correctly convert string both type "1" and "1.0" to integer. Standard int() function give an error when use it like this int("1.0"). It a source of problem. and than replace all int() functions in code with intF(). It work good for me. Can you make same fix in your code to all have corrected version? Cool plugin. I was wondering if it is possible to have a random flicker effect at a particular frame instead it starting from the beginning of the timeline frame 1? I would like to have control over which frames it starts on and which frame it stops at. Hello. I need the source code of noise function for use in Maya.